Over the past year, the 22-member organization has emerged as a useful deceptive cover for Western powers as they seek to redraw the political contours of the Arab World, and beyond, for their own strategic interests. The momentous popular upheavals that began in early 2011 across the Arab World have in many ways been co-opted or manipulated by Western imperialist powers to minimize democratic gains and to refashion the political map to their continuing advantage. A feat of achievement considering that these same powers have for decades supported the repressive regimes that have inflicted so much misery and suffering. The leitmotif for Western intervention is “responsibility to protect” (R2P) – the notion that these powers are motivated by concern for human rights and the protection of civilian lives. But given that the United States, Britain, France and other NATO states have been conducting criminal wars of aggression over the past decade in mainly Muslim lands, with a death toll exceeding one million and casualties amounting to many more millions, these powers found themselves with a huge credibility problem when it came to contriving a pretext to intervene in the Arab upheavals. What better than to shroud the Western agenda for intervention in Arab affairs with an appearance of Arab support? The League of Arab States has fulfilled this role. Since its inception in 1945, it has only ever suspended two member states. The first of these was Libya in March 2011; the second is Syria, suspended eight months later in November. Ostensibly, the Arab League has been motivated to take such measures because it purportedly shares the concern of Washington, London, Paris, for the safety of civilians being violently repressed by their rulers. Without the League’s sanction, the intervention of Western powers would ring decidedly hollow and smack of old-fashioned colonialism. This is in fact what it is, but the addition of Arab voices to the Western sanctimonious chorus lends a crucial veneer of international solidarity. The arrangement works like this: foment violence and instability within the country of choice, arm dissident groups, and direct these same groups with covert special forces; when government forces move to quell the insurrection, then accuse them of violating human rights. 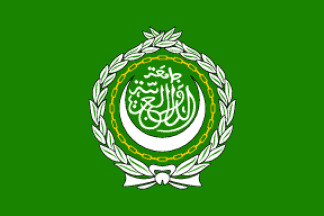 The Arab League then suspends the country, marking it out for international pariah status, which in turn provides a pretext for Western powers to mount military strikes, committing atrocities in the name of “responsibility to protect”, and engineering regime change in the interests of the Western powers. It’s neocolonialism in Arab lands – with the help of other Arab states. Libya can be seen as a dress rehearsal for this routine, which is now being played out feverishly with Syria. Recall that it was the spurning of Libya in March by other League members that immediately presaged the seven-month NATO aerial bombardment of that country, resulting in possibly thousands of civilian deaths, a crime that is not yet fully realized because of a corporate-controlled media blackout, but a despicable crime nevertheless with bloodied Arab hands involved. It appears that the Arab League is now taking on an even more pronounced role as the routine finesses. Clearly in Syria what is happening is an insurrection that is being fomented and armed by foreign governments, with Turkey and Saudi Arabia taking a lead role in arming the so-called Free Syrian Army against the state forces of President Bashar Al Assad. And it was the Arab League that brought the motion last week at the UN Security Council aimed at shackling the Assad government and setting it up for Libya-style NATO military intervention. The veto by Russia and China has for the moment derailed that plan. No doubt, Russia and China have learnt the lesson of Libya where a similar Security Council sanction was used by Western powers to launch a blitzkrieg on that country – in the name of the specious R2P. The insidious role of the Arab League as the West’s hound-dog can be gleaned from the comment by British Foreign Secretary William Hague following the Russian and Chinese veto at the UN. This is British spin on facts and truth at its best. Firstly, Russia and China decided to side with the “Syrian regime” because – despite biased Western media coverage – the government of Assad appears to retain the support of the Syrian people, and therefore it retains sovereign legitimacy. And the “brutal repression” that the solemn Hague speaks of relates to violence that Western and foreign Arab states have assiduously fomented in Syria, as they did in Libya. Secondly, the position of Russia and China concurs with that of the Arab League’s own observer mission to Syria. The mission actually reported that much of the violence was being conbducted by an “armed entity” and “armed opposition groups” involved in the killing of civilians – flatly contradicting the Western corporate media’s portrayal of unilateral state brutality. Indeed, the observer mission was subsequently cancelled by the League’s secretariat because the mission was exposing this Western disinformation . So, far from not supporting the Arab League, as Britain’s William Hague contends, Russia and China have acted more consistently with the League’s observer mission. It is the executive of the League that has not supported their own people on the ground with regard to accurately reporting the situation in Syria. Thirdly, note the way the British Foreign Secretary emphasizes that Russia and China “did not support the Arab League” in its move to have Syria sanctioned. Those few words blow the cover of the Arab League’s real purpose. For it is the Arab League that is serving as a stamp of moral and political legitimacy for Western military aggression in Syria in the same way as Libya before. Washington, London and other Western powers are disguising their neocolonial strategy under an Arab cover of humanitarian concern and Arab League states are obliging for their own selfish interests. The bigger picture here is the Western ploy of manipulating restive Arab populations to engineer regime change where the incumbent government is considered inconvenient to Western strategic interests. Syria is a major prize in that its support for Palestinian rights against Western-backed Israeli aggression is but one of many inconveniences. Its backing for the Hezbollah resistance against American imperialism in the Middle East is another. Of most immediate concern to Washington and allies is beyond Syria itself – its long-time alliance with the Islamic Republic of Iran. The US and its allies are convulsed by the desire for regime change in Tehran. Taking out Assad’s Syria is a long-held Western roadmap on the way to taking out Iran. Syria’s present fate of being in Western crosshairs was probably sealed when it rebuffed Washington’s overtures for a deal against Iran back in February 2010 . But the US and Western military roadmap goes beyond re-carving the Middle East. 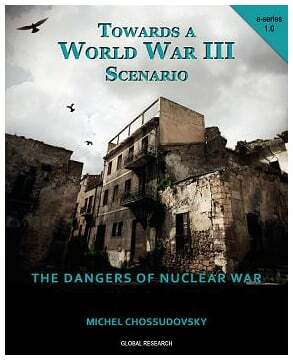 As Michel Chossudovsky cogently explains in his new book, Towards a World War III Scenario, Washington’s military roadmap is aimed at global dominance in which hegemony over the vast energy-producing Middle East and Central Asian regions is crucial to marginalizing the heavyweight rivals of Russia and China. The alliance between the latter two and both Syria and Iran only gives these current targets added impetus for Western regime change. Getting back to the treacherous role of the Arab League in serving the Western powers’ agenda, it is surely a bitter irony that one of the founding tenets of the League is to “defend the independence and sovereignty” of its members. Syria, which was one of the original seven founders of the League in 1945, is being stabbed in the back by its fellow members precisely to have its independence and sovereignty attacked. And it is the rump of Persian Gulf Arab states within the organization that has emerged as the most treacherous. Saudi Arabia and Qatar, along with the other Gulf Cooperation Council states of Kuwait, Bahrain, the United Arab Emirates and Oman, have been most vocal in lending Arab denunciations of Libya and Syria and creating the pretext for Western aggression. However, deploying these Arab dupes is where Western pretensions of supporting democracy and human rights become unstuck. The Persian Gulf monarchs have been the most repressive towards any popular stirrings for democracy within their own countries. Described variously as kingdoms, shaikdoms, emirates, or sultanates, these states are invariably ruled with iron rods by family dynasties that control their people as little more than serfs. It is surely ridiculous when the absolute despotic rulers of Saudi Arabia and Qatar in particular exhort the Syrian government to enact greater political reforms when these same countries do not brook any dissent and where it is a crime punishable by law to publicly criticize the royal rulers. Over the past year, Saudi Arabia has cracked down murderously against peaceful protesters within its own borders. And it was Saudi Arabia – where women are flogged for driving cars unchaperoned and where public executions by beheading are carried every year – that led the invasion force of Gulf Cooperation Council states into Bahrain last Spring to ruthlessly crush peaceful pro-democracy demonstrations. In Bahrain, Saudi-led Gulf forces continue with Washington and London’s support to murder women and children in the streets and in their homes . The pay-off for these Arab despots is that they continue to enjoy Western patronage and support in suppressing their own people. Additionally, the Sunni monarchs share the Western agenda to destroy the Syrian-Iranian alliance, which garners much greater regional popular respect and influence than any of the Persian Gulf tyrants. The illegitimacy of Western powers meddling in Syrian affairs and elsewhere and the risible alliance with repressive Arab states in pushing this agenda is only obscured because of the corporate-controlled media’s deliberate blindness towards the deception. An honest appraisal of the protagonists – the Western criminal governments and their Arab tyrants – is, to put it bluntly, a sick joke.